As an act of love for the city we love, we’ve created No Love Locks Day. 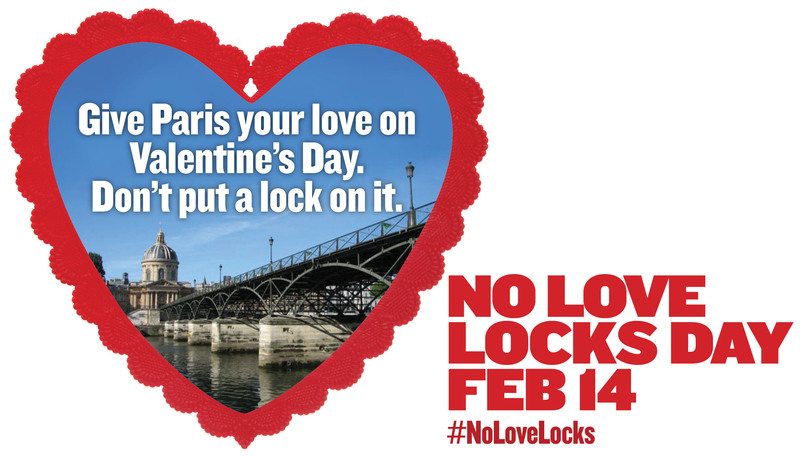 If you love Paris like we do, and love her beautiful bridges, we’re asking that instead of hanging a lock on the Pont des Arts this February 14th, you share a kiss—and share this message. Love should be free. Don’t put a lock on it. Happy Valentine’s Day, lovers.